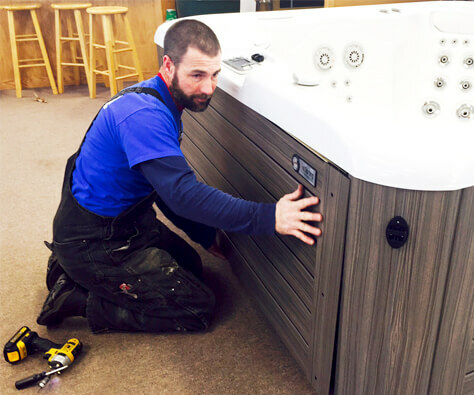 Learn more about how we became Vermont’s oldest and largest Pool & Hot Tub Dealer! We pride ourselves in our commitment and dedication to delivering the ultimate customer experience each and every time. Sustained through generations of passion and professionalism with genuine regard to every customer, our community, and environment, we believe in representing products that deliver health, relaxation, and lifetime memories. Since our establishment in 1957, we have sold, installed, and maintained hundreds of swimming pools and thousands of hot tubs throughout Vermont, western New Hampshire and northeastern New York. We have built our reputation on professional, quality, and dependable service. We are available year round for full service on your pool, hot tub, or sauna. Whether you are looking to buy, need repairs and maintenance, or water care education; we’re here to help! 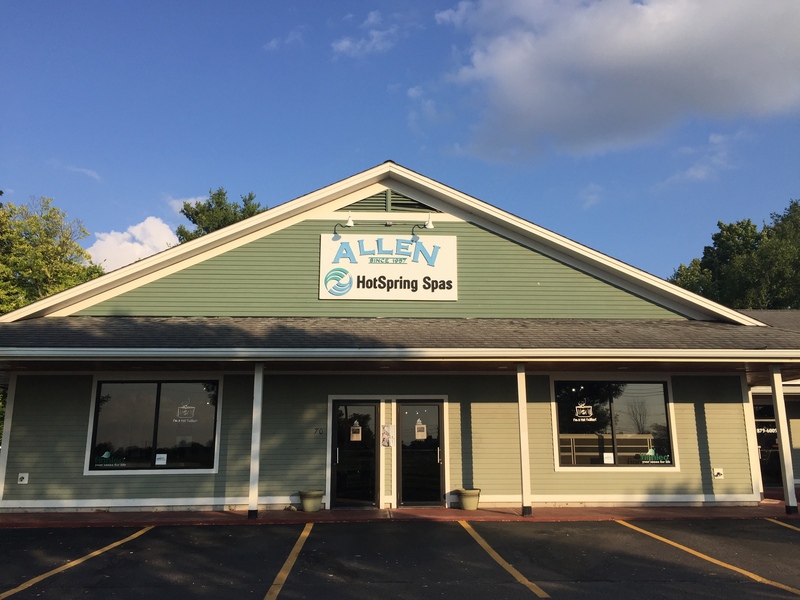 Allen Pools & Spas was founded in 1957 by Dan Allen Sr. who was working for the State of Vermont as a Registered Civil Engineer. He was contacted about designing and building a swimming pool for the Girl Scout Camp at Tammarck Notch in Mendon, VT. He agreed and built his first pool. He was then contacted by a few more people that had purchased pool kits and hired him to install them. Realizing the potential for a thriving business, he started selling and installing in-ground pools all over Rutland and Windsor counties. Even after building thousands of swimming pools, Dan Allen Sr. never learned to swim a stroke. In 1958 we opened our first retail store on Woodstock Avenue in Rutland, VT. Dan Allen Sr. built in-ground swimming pools and tennis courts in the summer and sold peanuts and cashews to local bars in the winter. 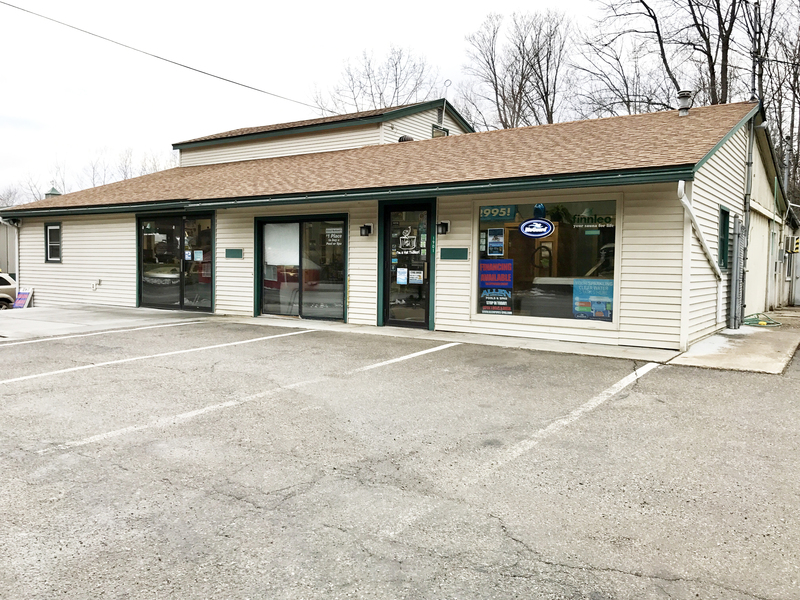 Two years later we moved to a temporary location in Center Rutland while construction of our new retail facility was underway–our existing Rutland store. Our chemical business began, bottling our own swimming pool shock into one gallon containers. In 1973 we built our first hot tub, growing our business with five full-time employees by 1975. In 1986 we started selling Hot Spring Spas–The World’s #1 Selling Brand! 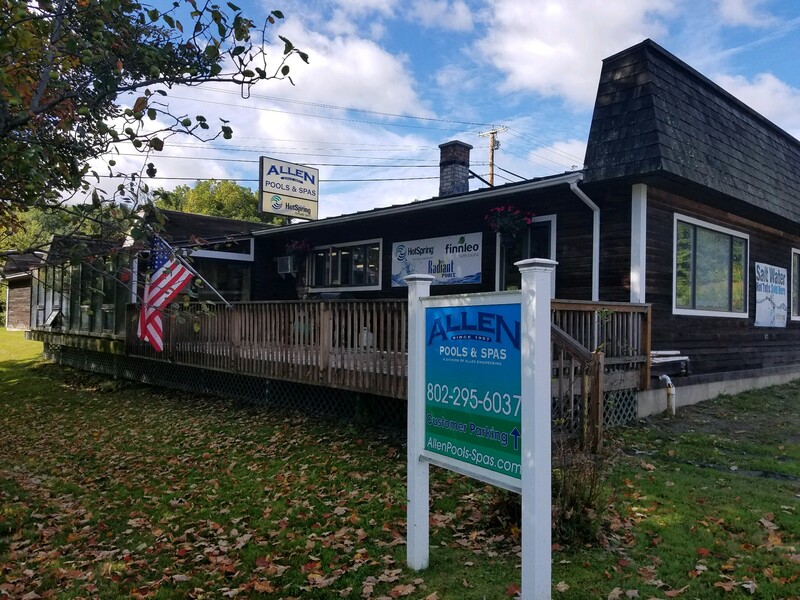 As the demand for hot tubs grew, so did Allen’s. 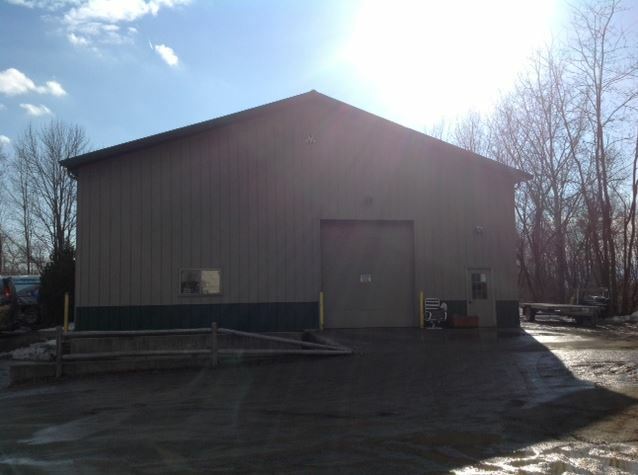 We built our first warehouse in Rutland, VT in 1987. 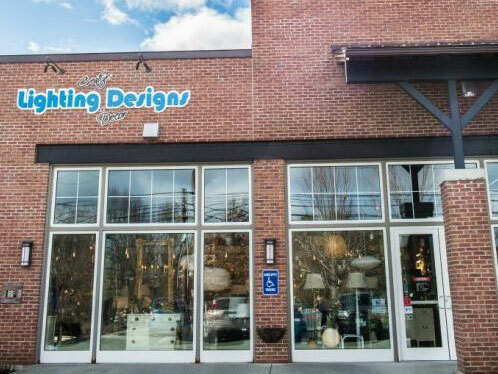 Opened our second retail location in White River Junction, VT in 1993. Our third retail location was open in Williston, VT in 2000. 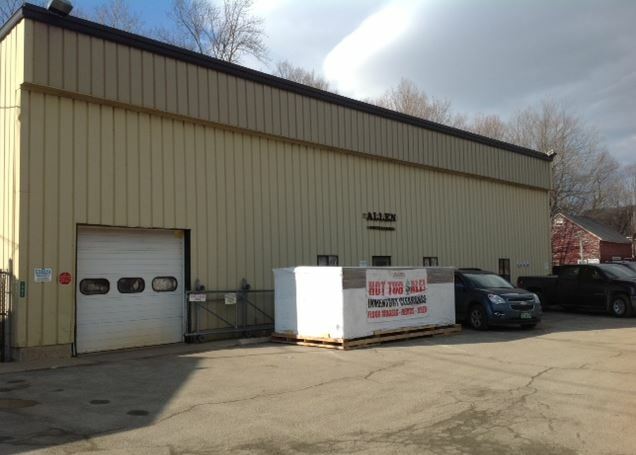 Built our second warehouse in Rutland, VT for hot tubs only in 2003. In 2005, we were very honored to win this great award from Hot Spring Spas! We added Finnleo Saunas to our line of quality products in 2007. Allen Pools and Spas named 2009 Locksin Thompson Dealer of the Year! Allen Pools and Spas was selected from among 850 Hot Spring Spa Dealers worldwide to receive this symbol of excellence for their commitment, professionalism, sales distinction, outstanding customer service, and entrepeneurial spirit that enables them to recognize, adjust, and progress through ever changing challenges in the retail market and spa industry. Started Carrying Endless Pools Fitness Systems! These incredible wellness devices are like no other. They provide a place for exercise, fun, and relaxation for the whole family! A Pool-and-Spa in one, an Endless Pools Fitness System will be the ULTIMATE addition to your home and to your life of Health & Wellness.